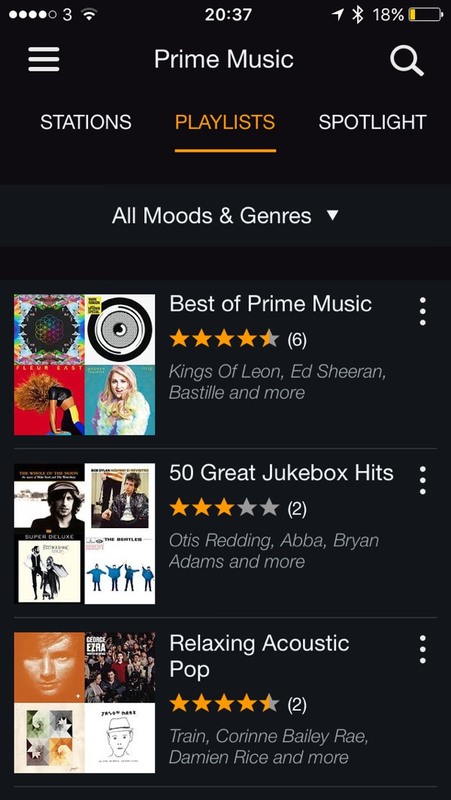 Amazon have joined the ranks of streaming radio in their “stations” offering for those who have Amazon Prime. Its another compelling reason to purcahse prime even if the one off payment might put some off. Rather than rather than going down the route of saying radio stations they simply called their online streaming music offering, stations. There is an absolute wealth of choices that will cater to even knows with the most eclectic type of music tastes. Best of all of the stations are advert free. 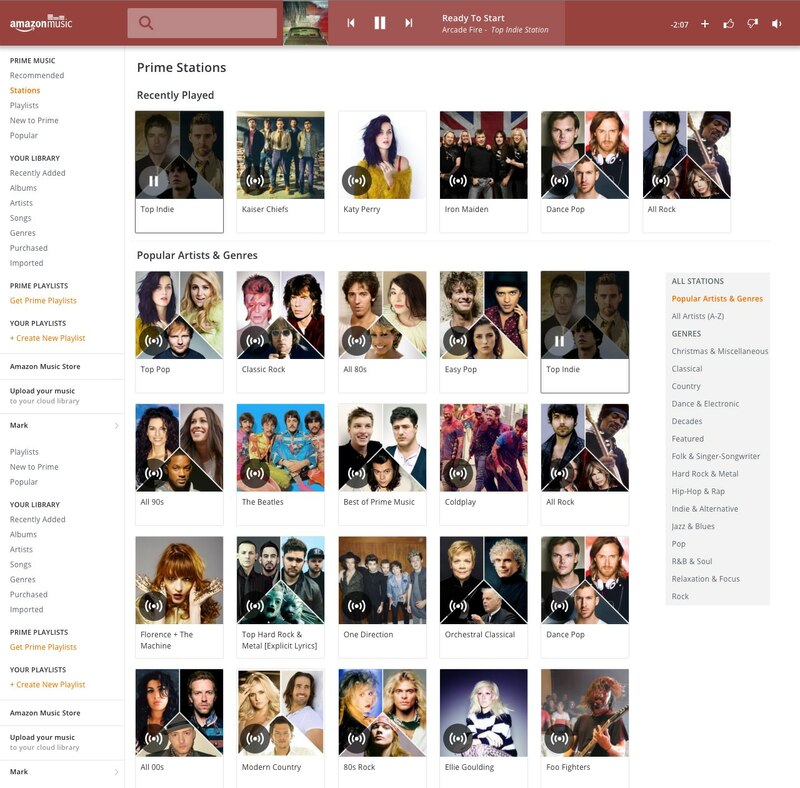 As you might expect from the company that also provides Amazon Web services music loads instantaneously with no lag skipping either forward or backwards on tracks. There is no information with regards to the bit rate of the music stream but I could find at the time of writing. Granted Amazon Prime Stations may not have the extensive back catalogue as its competitors and if you were a stand-alone offering a really wouldn’t be much in the way of temptation to jump ship if you already have a service from another streaming provider. 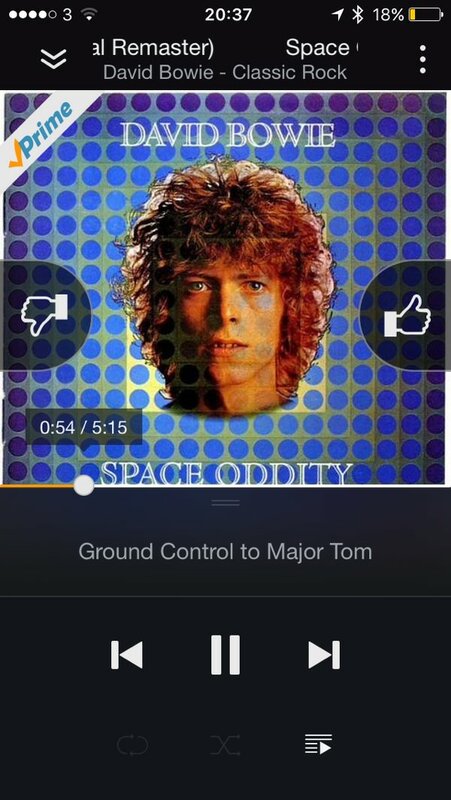 Although the user interface does feel a little rudimentary and certainly not as flashy as others it certainly gets the job done and of course you can listen via the Amazon music app, Amazon fire TV and pretty much any other device. Amazon prime music is available for a 30 day free trial. Just remember to cancel before the end of the trial or you’re going to get bills the full amount for Amazon prime services. Amazon Brings Movie x-ray to Songs. One neat thing about movie and tv shows on prime is the nifty x-ray feature. Tapping on the screen on a movie brings up information about the actor and lets you link through to the IMDB page as well as a few other interesting facts. Now you can break out the app and enjoy a karaoke session and find out what that lyric you’ve been wondering about after all this time.